Don’t Let Dirty Grout Ruin The Look Of Your Tile! 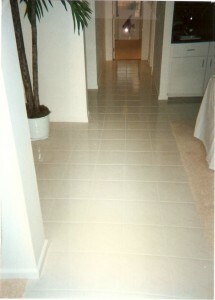 We can custom color match any shade of tile or grout with thousands of colors to choose from. Once we color seal your grout nothing can penetrate and stain the grout again! Whether you are looking to change the color of your grout or just re-capture the look of brand new tile, call Grout Works today and have perfect stain free grout tomorrow! Fine, quality workmanship, guaranteed to please the most discriminating homeowners.